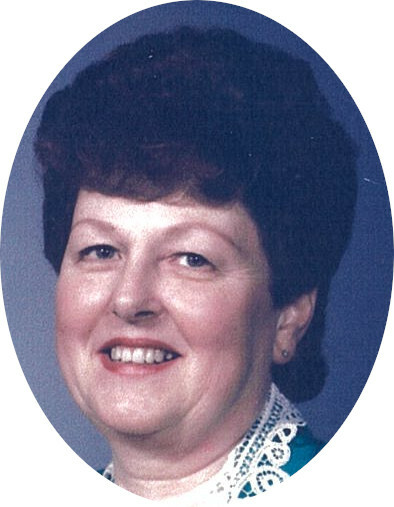 Karen Marcella (Morris) Graver of Dillsboro passed away Saturday, February 2, 2019 at The Waters of Dillsboro - Ross Manor. Karen was born Saturday, April 13, 1935 in Cincinnati, Ohio the daughter of Glenn and Marcella (Cartwright) Morris. She married David Lee Graver October 27, 1951 and he preceded her in death October 14, 2010. She was a homemaker and a member of Trinity Evangelical Lutheran Church. She loved being with her family and friends, doing ceramics, crafts and loved to travel. She worked in the offices of Dr. Baker and Bailey, worked at Seagram’s and Dillsboro Manor. She was a great wife, mother, grandmother and great grandmother. Karen is survived by sons Rick (Deb) Graver, Chris (Sandy) Graver, Jeff (Cindy) Graver and Mark (Deb) Graver; sisters Gail Reister and Linda Vagedes; brother Bruce Morris; 8 grandchildren; 12 great grandchildren; several nieces and nephews and a host of friends. She was preceded in death by her husband and parents. A service celebrating her life will be held 11 AM Tuesday, February 5, 2019 at Trinity Lutheran Church, 9901 Central Ave., Dillsboro, IN 47018, with Rev. Brad Bowlds officiating. Burial will follow at Oakdale Cemetery at Dillsboro. Family and friends may gather to honor and remember her Monday 5-7 PM at Filter-DeVries-Moore Funeral Home in Dillsboro. Memorials may be given in honor of Karen to Trinity Lutheran Church or Oakdale Cemetery. Filter-DeVries-Moore Funeral Home entrusted with arrangements, 12887 Lenover Street, Box 146, Dillsboro, IN 47018 (812) 432-5480. You may go to www.filterdevriesmoore.com to leave an online condolence message for the family.